Move right in! 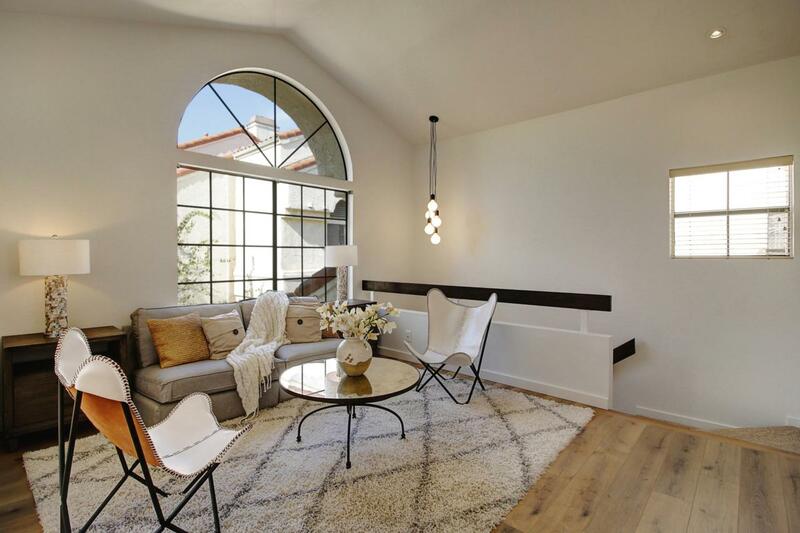 This light-filled, top-floor condominium has been exquisitely remodeled in a modern-rustic style with functionally elegant features and finishes. 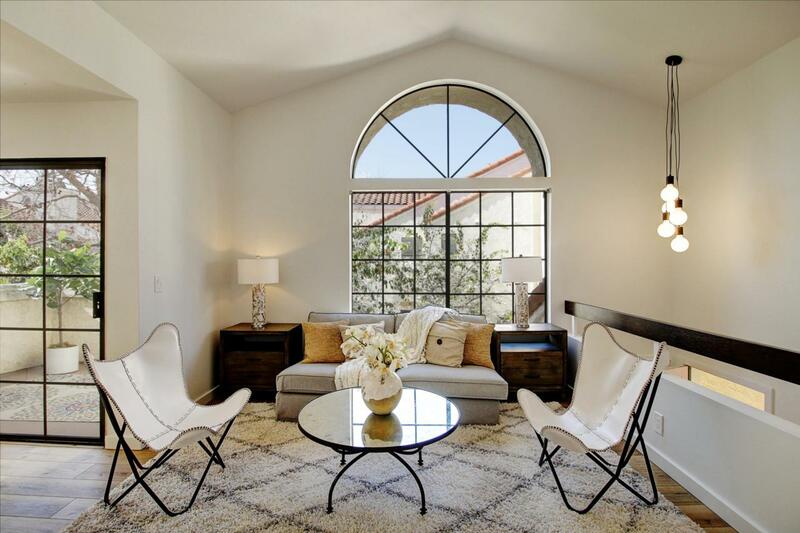 High ceilings and freshly painted white walls create a feeling of spaciousness in the open-concept living area, and a large arched window provides plenty of natural light. Brand-new luxury vinyl plank flooring anchors all the rooms, and modern design elements like a custom walnut fireplace mantel and a hand-crafted foyer pendant light add unique charm. A sunny balcony off the dining room is a delightful place for enjoying al fresco meals and relaxing in the pleasant Carpinteria weather. The kitchen has new quartz counter tops, all new LED lighting, new stainless steel appliances, and custom walnut accents. Some cabinets featurepull-out shelves, and others have glass display doors; plus there's a pantry, plenty of storage, and a laundry nook. The master bedroom has corner windows and no shared walls with other units. The en-suite bath is beautifully remodeled with a new vanity, mirror, lighting, and fixtures. There's a second bedroom and full second bath that's also been updated with new LED lighting, vanity, mirror, sink, and faucet. 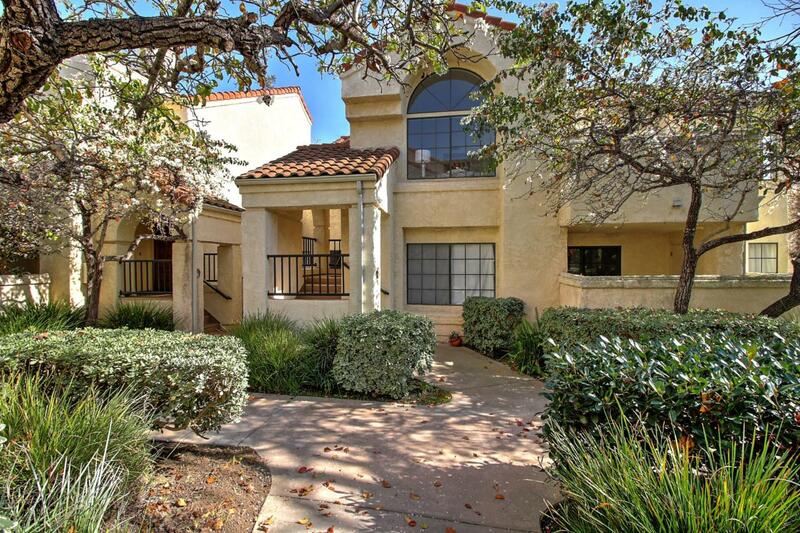 This condo also includes a two-car finished garage with extra storage and a keypad entry. Franciscan Village features attractive gardens, a pool, spa, playground, lawn area, BBQs, and RV storage. The dues are $410/month and include water and trash, as well as exterior and common-area maintenance. 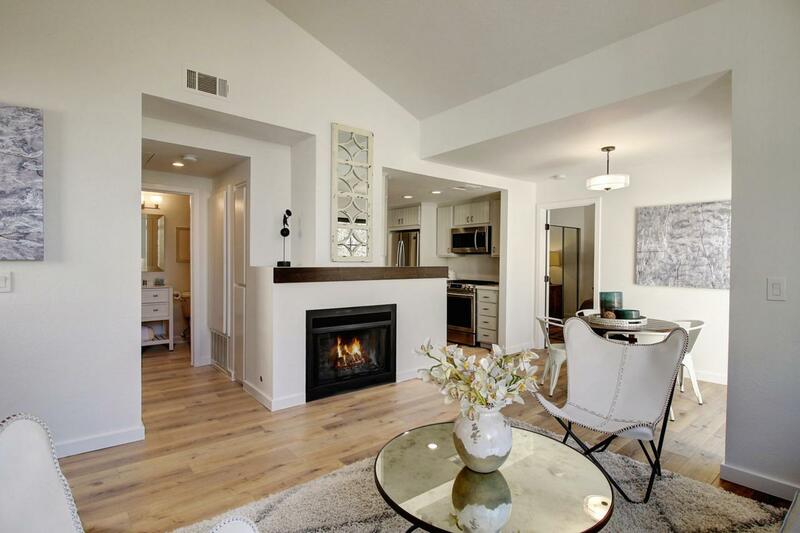 Located only a few minutes to downtown Carpinteria and the beach, this sought-after community is convenient to both Santa Barbara and Ventura, and is a wonderful place to call home.